Trash Talk and Thanksgiving During Rivalry Week! Thanksgiving Week is perennially a time for major trash-talking in the state of South Carolina. This is the week year in and year out that Carolina and Clemson sometimes literally slug it out on the football field, and unfortunately repeat the same scene in the stands or living rooms. This week will be even tenser because both teams are in the top ten in college football polls. In all our years of playing football this has never happened! This week’s game at Williams-Brice Stadium could be one for the ages. My hope is that it’s for all the right reasons. I have been hearing and participating in the banter for years. “Fear the Thumb!” is my favorite quip this year. Since the USC Gamecocks have won 4 in a row, the thumb represents number 5! Pretty much wherever you live in the US this is Rivalry Week for your favorite college football team, and it couldn’t come at a worse time: Thanksgiving! On Thursday we will gather as family, friends, and loved ones and share a common meal, but more than a few people will raise their smack talk to a higher level and back it up with small or large wagers on Saturday’s games. There’s enough stuff to divide families that we have to add football, too? Rivalry Week becomes sibling rivalry and more – ad infinitum. I live in a divided house myself. 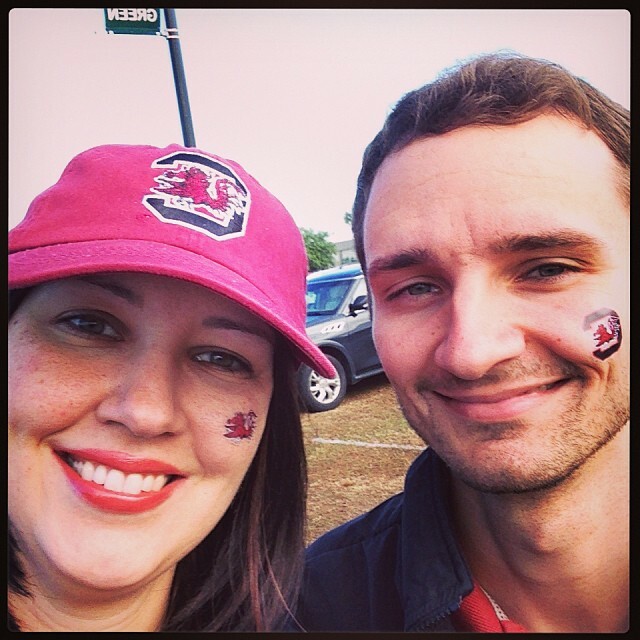 I graduated from South Carolina and rarely miss a game. Cindy graduated from Winthrop University, but was born at Clemson when her parents were there. She was baptized at Clemson Methodist Church, and when her Dad went back years later for another degree, she was confirmed at the same church and got her driver’s license at Clemson, too. Although she did get a Master’s degree in counseling at USC, her blood pretty much runneth orange. However, she does feel sorry for poor hurt animals and underdogs. That typically means that she has pulled for Carolina over the years. I am grateful for her Christian sympathy and USC has usually earned it. My kids are really mixed up. Narcie graduated from Winthrop and Candler School of Theology and is a natural Carolina fan, except that she is the Director of the Wesley Foundation at the University of Florida and says, “Go Gators!” Her UF hat she was wearing last night got interesting stares in a local grocery store. Our middle child was raised right, but, thanks to his maternal grandfather’s influence and a scholarship, Josh graduated from Clemson with an engineering degree, though he’s now a UM minister. Caleb, our youngest, is the only one besides me with a USC degree. Thank God for Caleb! He helps even the odds. Narcie and Josh did recently go to a USC game and Narcie talked Josh into humoring her and allowed her to put a Gamecock logo on his cheek. He caught heck for that from a lot of his Clemson buds. He was just being kind to his sister and loves Clemson, but the photo below is more than a pretty sight for me because this Thursday I will definitely be in the minority. But how do we get through Thanksgiving without a family squabble? How do we handle the trash talk of Rivalry Week without losing our cool or our kin? It all comes down to the use of our tongues and love. There was a conversation between a 4-year-old boy and the mail carrier about the child’s little sister. The mail carrier asked, “Can she talk yet?” “No,” the little boy responded, “She has her teeth, but her words haven’t come in yet.” This Thanksgiving will prove that a lot of us have teeth in our conversation, but the right words aren’t there yet! The frightening thing is that our bitter words may not just be about football. I’m afraid that most of our trash talk has little to do with football and is about underlying jealousies or tensions. Now here’s a challenge: Try to make it through Thanksgiving Day without saying anything negative or derogatory about anyone or their team. Also take note if you say something about someone who isn’t present. Keep track when others say something negative and what your reactions are. Notice whether you rebuke the verbal attack, or invite people to spill all of their “dirt” about the other person. 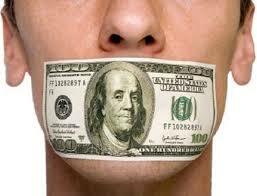 Watch your speech and ask the Lord to bridle your tongue. Be a R.E.A.L. family this Thanksgiving: Respecting – Encouraging – Affirming – Loving. I hope your Thanksgiving is more about God than goal lines. Everybody calm down and take a deep breath! I’ll try, too! One of the signs of hope for me personally this Advent is that the South Carolina Delegation has endorsed me to be their Episcopal Nominee. Today is the day that their website for me, www.timmcclendon.org, is being launched. I am grateful for all of their hard work in doing this. This is a great reminder of Christ’s never-ending work in our lives, and one of the best Christmas gifts ever for me. Thank you to all! This reminds me of a very significant Thanksgiving that we observed 3 years ago. We were at Cindy’s mother’s house and we feasted and reminisced about former days. As I was walking around in the yard before we left I noticed the stump of the old oak tree that had stood for centuries beside the house. After Hugo ripped up another of the ancient giants and ice storms decimated the rest, it seemed a good idea to cut down this hazard that was located precariously close to the house. All that had been left for several years was a huge stump. I’m sure the transformation took place gradually, but that Saturday it was undeniably apparent. The old stump that had once looked weather beaten and forlorn was alive. It was sprouting new shoots, live branches of hope into the gray sky. They were at least four feet tall and climbing. The serendipity of the find gave me pause to think about life and its changes. We go through lifeless seasons of scarring and barrenness, and then Jesus’ power causes us to sprout again. Even when it seems like life is over, Jesus can resurrect us. There is no damage that Jesus can’t undo! Another serendipitous occasion over that Thanksgiving holiday was the arrival at my mother-in-law’s of a cute little beagle. Mrs. Godwin had enjoyed her two cats, but she had sorely missed the Boykin spaniel that she and Mr. Godwin mutually adored. Bud was the dog that they loved so much. Bud enjoyed riding in the pickup with Mr. Godwin and lying down at Mrs. Godwin’s feet. He was so old he started to edge closer and closer to death’s door, but, because he was so much a reminder of Mr. Godwin’s life, Mrs. Godwin spared no expense in vet bills to keep Bud going, especially after Mr. Godwin’s untimely death. However, one day he just disappeared, either stolen or instinctually or purposely wandering off to die in order to spare Mrs. Godwin another grief. Other dogs had come and gone before Bud: Brio, and Britt, to name a few. You probably noticed that all their names started with the letter “B.” So one’s imagination wouldn’t have to work overtime to figure out what new name this foundling beagle was granted: Barney. Mrs. Godwin, living by herself, had said repeatedly that she wanted another dog but she didn’t have the desire or physical stamina to train one for the house. Well, God does work in mysterious ways. Barney was already house-broken, had quite a menacing bark for a dog with his diminutive size, and quickly learned to use the “dog door” that Mr. Godwin installed some time before his death. Once again, when we least expected it, just like the old tree stump’s new shoots, new life enters our pain and gives us hope. Advent season can be a similar experience for us frail time-bound human creatures. Last year our family didn’t even put up a Christmas tree because we were too overwhelmed by personal concerns in the aftermath of Mrs. Godwin’s sudden death and Narcie’s brain tumor. This year, determined to open our hearts to Jesus’ power to bring new life, we have put up our decorations weeks earlier than usual. Instead of retreating into worry, which is more my problem and not Cindy’s, Advent dares us to advance toward God’s in-breaking kingdom, whether it comes in the form of new shoots out of a seemingly dead stump, a new puppy, or a new website. May this Advent bring you inspired hope. Join me in looking for the signs! It’s hard to pray for my favorite team in next week’s Carolina-Clemson game. Prayer and sporting events haven’t worked out that well for me in the past. In 117 years of football, South Carolina has only won 8 or more games three times. Need I say more? If I pray for the best team to win, that team might not necessarily be mine. So, this year I know exactly what kind of prayer I should pray. It should be a prayer of thanksgiving. The same could be true for Clemson folks, too. USC is 8-2 and Clemson is 9-1! Wow! So, I have a lot to be thankful for as a Carolina fan, and more so as a human being. Narcie just got her latest MRI results on the brain tumor and PRAISE GOD it isn’t growing! There are SO many blessings that are better than the vicissitudes of sports. There are many good and great things that overshadow an entire world’s bad news. In the midst of the somber we can either give in to depression or count our blessings. We all know which is better for us, even when it’s tough to do. What are you thankful for this coming Thanksgiving? In a village inDenmark, there is a beautifully landscaped cemetery next to the community church. A visitor noted that at least a third of the gravestones there have the inscription, “Tak,” written upon them. That’s Danish for “Thanks.” What a wonderful sentiment whether it’s meant as gratitude towards God for blessing us with life, or as thanks to the people who visit and helped us get through life. Annie Dillard captures this same attitude in her words, “I think that the dying pray at the last not ‘please,’ but ‘thank you,’ as a guest thanks his or her host at the door.” “Thanks!” aims positive energy towards God and others. This Sunday is a time for us to express these altruistic sentiments. It’s not only Thanksgiving Sunday, but it’s also Christ the King Sunday – the last Sunday in the Christian Year. For a lot of churches this is the wrap-up for your stewardship campaign. In that vein I’m reminded of the story about the couple in the aftermath of World War II. They were getting ready to go to the memorial service for the son of friends of theirs. The young man had been killed in the service. His family was dedicating a window in their church to this young man who had lost his life. The window cost $50,000. Count and account for your blessings! Give Thanks! I can confess Jesus as King easily but my actions often betray me. This is especially true at this time of year. I’ve always been one who loved to get the mail out of the box. Holiday season has always made the experience even better. When I was a child we got plenty of magazines offering holiday pleasure. I perused the Sears catalog until it was practically memorized. I sorted the “Wish Books” from the rest of the mail and hoarded them like treasure. I whiled away hours, days, weeks, flipping the pages, compiling my lists: G.I. Joe play sets, walkie-talkies, and camouflage. Catalogs were about fantasy and the potential fulfillment of every want, need, and dream. Catalogs, ironically enough, weren’t bad practice for anticipation. What is anticipation, anyway, except glimpsing something that might be, and deciding you want it, and awaiting its arrival, yearning for it even? But mystery: Mystery is something else entirely. There is no catalog code or customer service number that we can provide to procure the Messiah. There are no glossy pages that can contain the living power of the Incarnation, of the Holy Spirit moving through a world battered, bruised and beautiful, a world being called to remember its true song. Christ is coming. No credit card necessary. That’s what Christ the King Sunday is about! My sin so often is to wish for trivial things while Jesus is all that is really needed! Don’t let this season catch you pondering wish lists that never ever truly satisfy our longings. We need more than self-serving gratification. What we need is the peace that will never wear out, break, or become outmoded by next year’s newer model. The Author of that kind of peace and contentment is Jesus. There is none other than Jesus who can meet our every need and satisfy our every longing. Only Jesus makes our wishes come true. The great mystery is that Jesus, the anticipated King, has come and is coming again. We see the in-breakings of his kingdom all about us. However, the sparkle and glitter of holiday season produces such a glare that it’s almost impossible to squint through the blinding light. But, stare through the glitter we must if we are to know the peace that comes from knowing Christ as king. We can’t order peace from some 800-number or a website, but we can find it if we dare to be still and ponder the mystery of God in Christ. What a great Thanksgiving and beginning of Advent! We went to Rock Hill to see our two grandchildren and have Thanksgiving Dinner with our son-in-law’s parents and grandmother. Caleb went with us, but Josh and Karen were in Greensboro with her folks. It was a good day, and after a few hours we came back to Columbia. Of course we miss Ganny since her sudden death in August. This was our first Thanksgiving with all of our parents gone, but in the Communion of Saints they were still with us is so many ways. For instance, on Friday Cindy and I went to the movies to see “Blind Side.” It is a great movie! It reminded me so much of my mother who became the legal guardian for an African-American man who was mentally challenged. The authorities had threatened to send him to a state institution. He hung out and helped people with their groceries for years at my grandfather’s country store, but his mental condition deteriorated, and his family had basically abandoned him. His name was Frank Arthur. He lived with us, had his meals with us. My Dad shaved him and cut his hair. Any way, the movie “Blind Side” brought buckets of tears to my eyes thinking about my mother’s big heart and bravery in doing what she did for Frank in the 1950’s when race was a worse issue than it remains today. So around the Thanksgiving table and all weekend I sensed the presence of so many: Ganny, SaSa, Papa Mac, Gandaddy, Papa, Grandmother, Uncle Lee, and many more. On Saturday the Gamecocks beat archrival Clemson and that would have made most of my deceased relatives very happy. Sunday was an even better day! We celebrated Evy’s first birthday and her baptism at St. John’s, Fort Mill. Everything was simply wonderful. Narcie’s sermon was outstanding and Mike’s music and the Praise Band were superb. Cindy and I both were filled with tears of gratitude in how God is using our children. Josh and Karen are doing great in ministry and Nursing School. The Rock Hill Herald newspaper had a wonderful article about Josh’s ministry with the homeless yesterday. Check it out http://heraldonline.com/front/story/1775436.html. God has blessed us and we’re thankful.